Different people travel for different reasons. Some might travel because they want to explore and enjoy new places while others do it to get away from the hustle and bustle of life. There’s also some people who’d travel in order to try out a new sport or dish which is only available in their destination. But regardless of the reason why people are traveling, one thing is certain: they need to have accommodation. Where they’ll stay during their trip can impact their travel experience. This demand allows property owners like you to earn. If you own a property and you’re willing to have travelers rent it for a fee, finding the right rental management company is vital. A rental management company can help you promote your property in the best way possible so you can attract travelers and earn a steady income. 1. Find a rental management company which knows about the rental performance of your area. 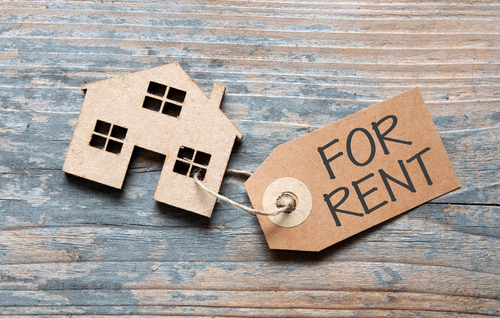 Rental management companies are no longer new – there are a handful of companies which have been operating for decades. Scout for these companies and ask about the rental performance in the area. Do they know when the peak and off-peak seasons are? Can they provide information about the most popular property in the locality? Do they understand how local regulations affect the property rental industry? If the representatives from a rental management company provide reasonable answers to these questions, you might have already found a company which suits your needs. A good rental management company spends a lot of time studying all of these factors in order to help their clients succeed. On the other side of the coin, if you weren’t satisfied with the answers given to you, continue looking for options. Pay attention to a rental management company which doesn’t know any legal regulations in your area. Working with them might put you in a legal battle in the future. 2. Find a rental management company which has reasonable fees and contract terms. If you’re diving into property rental for the first time in the travel industry, it’s important that you know the fees and contract terms involved. Usually, a rental management company will charge 25-50% of your total rental income. Before deciding which rental management company to work with, assess if you can afford to pay this amount over time without compromising the condition of your property. As a property owner, you also have to make sure that your property is in its best condition in order to haul in more travelers. Contracts can be a sign that the company you’re eyeing to hire is reputable, but it can also put your property and name in danger. If you immediately sign a contract without taking the time to read it, you might end up with a year-long agreement with a company which doesn’t perform – and because you’re still locked with the contract, you have no choice but to continue working with them for the rest of the year. This can mean lesser customers and lesser income for you. If the rental management company requires a contract, inquire if there’s any clauses which involve poor performance or service. For example, if the company fails to clean your property every month or only gets you three bookings in 10 months, you should be able to leave their service without having any legal responsibilities. 3. Find a rental management company which offers many services. When you work with a rental management company, you’ll be paying management fees in exchange for their professional services. Ask what the inclusions of this fee are so you’ll know what to expect. Does it include the cost of the marketing, cleaning, pre-stay walkthroughs or in-person visits when a traveler has issues with your property? Or are all of these charged separately? Some companies will send one of their employees to your property if a traveler has a problem, but this will require you to pay an additional fee. As a property owner and a paying customer, you know what you’re getting into. Once you understand the fees and everything that it covers and doesn’t cover, you’ll have an idea if what you’re paying is worth it. If a company covers marketing, maintenance and everything in between, working with them can provide value to your money. But if a company only covers the maintenance and all other services are additional charges, continue looking for other options. 4. 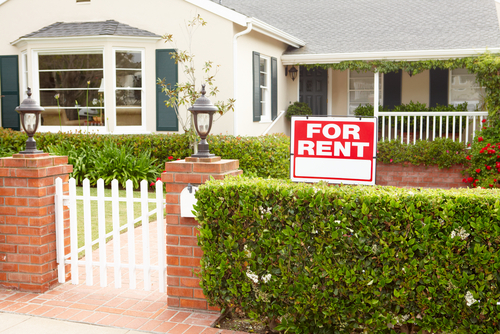 Find a rental management company which knows where and how to market your property. You’ll never gain many customers if a rental management company only markets your property on their website. Sure, this might help achieve that goal, but it’ll never have the same results if your property is marketed on major listed websites namely Airbnb and VRBO. A company which uses limited marketing mediums for your property will also lead to limited income. The fees you’re paying to a rental management company should include at least one major listing website on top of their existing marketing efforts. All of these attempts should raise the visibility of your property to travelers from different parts of the globe. Additionally, listen if the company promises that your property “will appear high in the search engine results pages” or if they’re engaging into search engine marketing. Using any of these strategies is a good indicator that the company you’re eyeing to hire is putting an effort to make your property stand out in the World Wide Web. Aside from knowing which online platforms to use, the company should also gather reviews from satisfied travelers. They should make necessary follow-ups with travelers who already stayed at your property and invite them to re-book. Ask the company what their strategies in earning positive reviews from customers are. These reviews can be your leverage so travelers will choose to stay at your property, and not with the competition. 5. Find a rental management company which provides convenience and accessibility for bookings. The employees of a rental management company aren’t awake 24/7 (which is reasonable since most travelers aren’t either!) but they should be available whenever travelers are making their plans. Regardless if they’re doing it before or after work, on the weekends or during holidays, a rental management company should be accessible. If the company is only available for bookings during 9 AM – 5 PM during weekdays, you’ll miss out catering to travelers who are still working during that period. Keep in mind that not everyone follows the same working schedule – some potential customers might be working on the evening while some during the wee hours of the morning. As much as possible, work with a company which allows booking at any time of the day, any day of the week. Also, ask if the rental management company allows customers to book online and pay using a credit card. People today would prefer doing everything on the internet – and booking for accommodation isn’t an exemption. If the company doesn’t allow any of these (or all of these), you’ll never get your desired number of bookings. Booking for accommodation should be convenient and accessible to your customers so make sure the rental management company can provide these consistently. A rental management company can drastically help with your property rental in the travel industry. They’ll take care of everything for you, leaving you with more time to manage other things in your life. You’ll also have peace of mind knowing that your property is in good hands. However, you can only experience all of these things once you work with a reputable rental management company. If you work with a company which is inexperienced or illegally operating, you’ll end up wasting your resources and even put your property at risk. Have you found the right company for your needs?